NBC News suspends Brian Williams for fabricated stories. 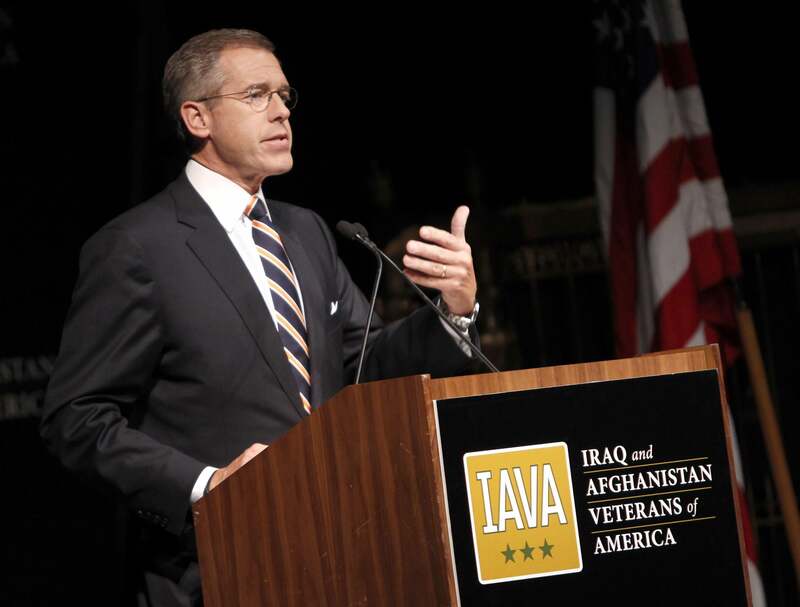 Brian Williams speaks at the Iraq and Afghanistan Veterans of America Annual Heroes Gala in 2010. NBC News had a bit of an existential drama brewing in its newsroom with anchor Brian Williams’ apparent fondness for truthiness, rather than the good, old-fashioned truth. The truth looks particularly good on a news anchor, no matter how dashing. Williams’ problems started with his foggy recollection of whether the helicopter he was traveling in was, or was not, hit by an RPG while he was on assignment covering the war in Iraq in 2003. When it turned out that wasn’t—strictly-speaking—“the truth,” Williams admitted his error, and (sort of) corrected it. Williams gave himself the hook temporarily from his nightly broadcast; NBC promised to investigate.